Our Goal-100 New Subscribers in December! Help us achieve our goal of 100 new subscribers in December! Here are a few good reasons to become a Bluff City Theater subscriber this month! Subscribers save $10 on tickets to The Ides of March-Hits of the Blitz Gala on March 14th. All this and SAVE 20% over regular ticket prices if you subscribe before December 31st! We’ve got an exciting season of entertainment waiting for you and it all begins in January! 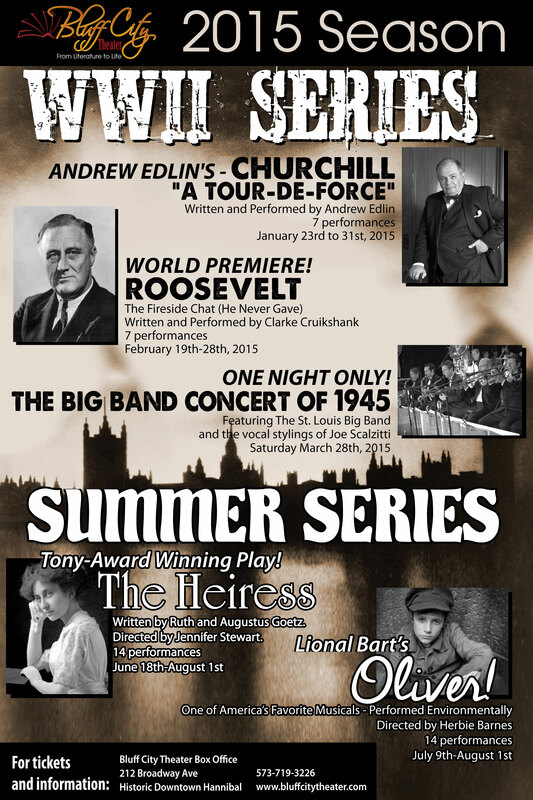 Andrew Edlin brings his one-man tour-de-force Churchill to the stage. Then in February, we present the world premiere of Clark A. Cruikshank’s introspective on Franklin Roosevelt called Unfinished:The Last Fireside Chat. In March, we bring the debut Hannibal public performance of The St. Louis Big Band in The Big Band Concert of 1945 featuring the great music of the Second World War era. 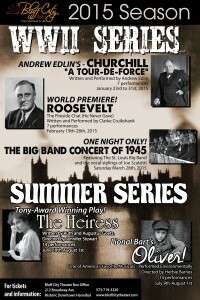 Then, this summer we’re featuring two of the most successful Broadway plays of all time. Starting with The Heiress in June and followed by Oliver! in July, you’ll be treated to exceptional performances of these award-winning scripts. 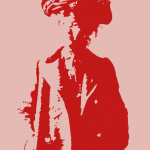 Bluff City Theater is dedicated to bringing you professional theater in an intimate setting. Because we’re an artist-driven theater company concentrating on plays derived from literature, you’ll get to experience all the raw emotion and excitement that only live theater can bring. And it all happens right here in Historic Downtown Hannibal! Help us meet our goal of 100 new subscribers in December! Call the box office at 573-719-3226 or click on Subscribe Now at our website www.bluffcitytheater.com. There is no need to select performance dates now (although you can)- we’ll contact you before the first performance to reserve your tickets. All five plays are just $99 if you subscribe before December 31st, a savings of 20% off regular ticket prices. Next article Brochures Are in the Mail! Watch for Yours!